The Stylmartin Continental a bold, sturdy and retro-styled boot that takes its design cues from 70's motocross boots. 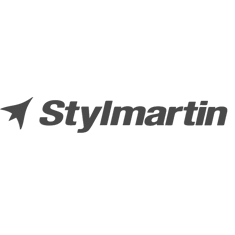 We've come to expect a lot from Stylmartin after they've been coming up with very impressive motorcycle footwear over the last few years, most notably the recently released Rocket boots that have been proving to be some of the best boots we've had in our range so far. The continental takes everything they've learned from past releases, and cranks it up to eleven... These boots have internal shin protectors, a reinforced toe and heel cap and protective ankle inserts. The boots are made from a gorgeous water-repellant calfskin Nappa leather that will age beautifully. Stand out from the omnipresence of black, brown and grey boots with these bold red leather boots.